Kakani Gurje Bhanjyang Day Tour is one of most demanding day hiking route located near Kathmandu. Situated on the 26 kilometers North-west and posible to reach about 90 minutes of bus drive to get Kaule, there starting point. Kakani hill station is equally popular to get heart touching view of glittering mountains namely Annapurna (8,091m), Manaslu (8,165m), Ganesh Himal (7,446m), Lantang lirung (7,245m) and many other snow-covered mountains. You can also have an outstanding view of Nuwakot likhu valley and as well as Kathmandu from the height of 6,658 ft. Kakani day tour also provides you with the stunning view of growing Rhododendrons forest on the mountain slopes begin to bloom in February and stay in bloom for several months, giving the village even more charm. Thai Airways Memorial Park and the century-old villa used by the British Embassy are the remaining spots to visit here. Thai airways memorial park is built in the memory of the 113 passengers who died in an airplane crash in Ghopte Vir in 1992. Kakani and Shivapuri/Gurje hill station and also popular for best views, picnic spots, day hiking, cycling, Bird watching, and couples. You can walk to little down to big open Suryachaur to get a beautiful view of Likhu valley landscapes. Thus, it is an enjoyable journey passing through oak, rhododendron and pine forest. Day 2 Kakani to Gurje Bhanjyang Day Tour | Kakani to Gurje Bhanjyang day hiking ! After the pre-trip meeting, your day tour will start at around 8:00 am. You will have a private vehicle and a professional tour guide along with you. Your day tour begins reaching Kaule hill. 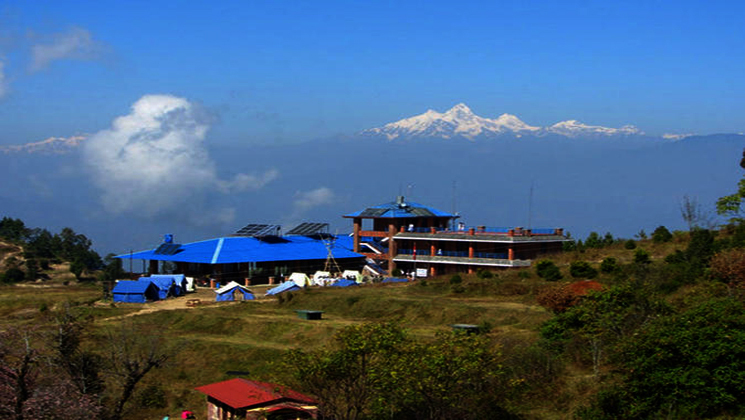 Then you can hike up to the Kakani hill station – Gurje hill station – Jagat village and return Kathmandu. While on your day hiking, you Walk through the beautiful rhododendron forests. The journey takes about 4 hours of walking then the rest of part, you can drive. Kakani to Gurje Bhanjyang day hiking is also famous for watching birds and mountains. 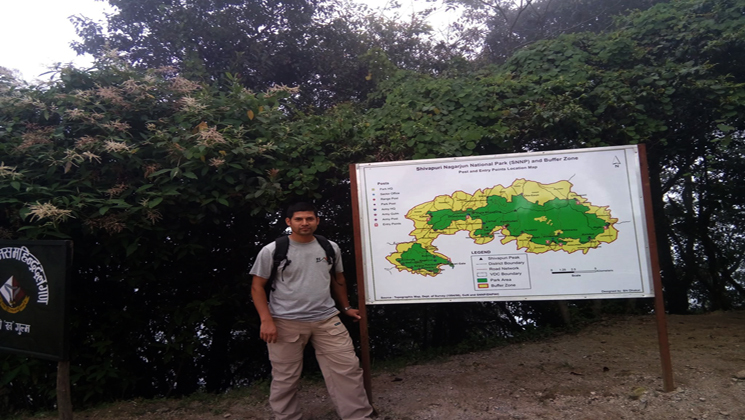 Total length of this hiking is around 10 kilo meters. Majestic views of Kathmandu city, Likhu valley and some of its heritage sites. Optional visit to Jhor Mahankal, Baundeshwor cave and beautiful waterfall. What are the cost for Kakani to Gurje Bhanjyang Day hiking tour? 25 % off for a child less than 15 years old. Amazing Kakani to Gurje Bhanjyang Day Tour with college students! We are a team of 11 people and have booked Kakani to Gurje Bhanjyang Day Tour for my college friends with Gokyo Treks and Expedition. From the initial inquiry to the end of the trip the company was very impressive. Ammar – the founder of the company was extremely efficient. He answers all of our emails and messages by return. We were extremely fortunate to have Ammar Guni as our local Tour Guide. They were both extremely kind and always wanted to ensure we were safe and happy. Kakani to Gurje hill day hiking was just amazing. Their customer service is excellent, so I would definitely recommend and use this company again. – Sarah Tschedel, Jena city, Germany.